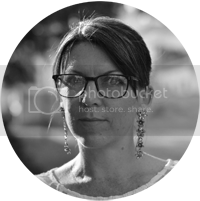 Claire, what inspired you to write your debut book, an action packed YA thriller? Throughout middle school, I loved YA thrillers. I read any book from that genre that I could get my hands on. After a while, though, many of the stories began to feel the same to me and it was difficult to find something fresh and original. So, I decided to write the story that I wanted to read. I came up with the concept for Imperfect in eighth grade but actually started writing it my freshman year of high school. What’s funny is that it started out as a story about roman gladiators—it’s changed a lot since then. 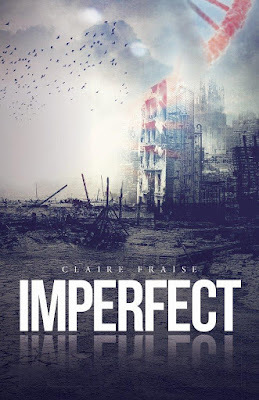 Imperfect is the story of a fifteen year old girl, Summer Greenwood and her struggle against Making Perfect, a huge, genetic research corporation that captures orphans to be part of their illegal experiments. Set in 2441, the story is told primarily through Summer’s point of view as she uncovers the dark secrets behind the company and as she struggles to return to her family. It takes place some 400 years from now. How hard was it to see that far out into the future in terms of society, technology, and how life might be by then? It’s actually been really fun. There isn’t any way to know for sure what life will be like in the future—all we can do is guess and that’s the fun part. What’s interesting is that over the past decade, large corporations have grown in terms of their influence on the lives of people and I wanted to explore what would happen if it got out of control. Imperfect focuses on both the rising power of corporations and advances in genetic research. What would life be like if Monsanto took over the country? What if “perfecting” the human race was finally within reach? Should we do it? Who decides what perfect is? What could possibly go wrong with that? The bonds of family played a huge role both in what Summer does and what another key character does. Both will risk their lives to get what they want, but only Summer seems to be acting with a clear mind. Why is family so important to her? Family is the foundation of everybody’s lives. Those are the people that, for better or for worse, are always a part of you. In Summer’s case, her sisters are her support system and at the same time rely on her for their survival. At the beginning of the book, her sisters are the only thing that she has. By keeping her sisters safe, she safeguards the only people in the world who she loves and also give her life purpose. This is the reason that she feels so guilty when she’s taken by Making Perfect and does everything she can to get back to them. In your story, we have learned that the government experimented on fetuses and is seeking to create a superhuman race that could act as elite soldiers. Why? Should we fear where science can take us? The rising power of technology and science has always scared me. Research is all great until it falls into the wrong hands and that’s inevitable as these new discoveries become more common. That fear is really what motivated me to write this story. I got to explore the consequences of this thirst for advancement and where it could take our society. I’m not naive, I know that there’s nothing I could ever do to stop people experimenting and coming out with new developments, I just hope that the people of our society’s future will be smart enough not to let it escape their control. In the future world depicted in your book, few seem happy. There are warring factions that threaten the society Summer lives in, and her own government is oppressive, abusive, and inhumane when it comes to its own people. Is this what we have to look forward to? I sure hope not! Throughout history, however, many different societies have been victims to authoritarian governments similar to Making Perfect. I mean, Hitler was elected! History has a tendency to repeat itself and when people’s personal freedom is taken away from them, sometimes gradually, it leaves them unable to counter oppressive forces. And that’s what we have to be careful with. We have to make sure that we protect the inherent rights to individual liberty so that we all have the ability to make decisions for ourselves. How much of recently published books, like The Hunger Games or Divergent, influence your writing? How does your book differ from other YA books? I think that all YA books share certain characteristics: oppressive governments, class warfare, apocalyptic environments, and the struggle of young individuals against morally corrupt establishments are all widely accepted concepts scattered throughout the many books in this genre. I think that Imperfect’s themes of genetic experimentations, and corporate control set it apart from others, as does the rich set of characters. Also, the characters are all multi-dimensional and don’t adhere to any stereotypes. Even the villains, like Ian Cooper, the son of Making Perfect’s CEO, all have motivations they believe are morally clear. Ian’s motivations conflict with Summer’s and he does horrible things, but everything he does makes sense to him and he is also capable of kindness and that makes him real in my view. What do you feel other teens or young adults are searching for in the novels that they read? I think we like reading books that we feel connected to. Whether it’s the story’s protagonist, the overall arc of the plot or the emotional journey of the characters, people want to be invested in the story. I can’t name anything else that feels as good as becoming so immersed in a story that it becomes the only thing you think about/want to do until you finish it. That’s definitely what I look for when choosing the books I want to read. That connection between reader and story is such a precious thing, and probably the reason why people love literature so much in the first place. As a sixteen-year-old penning her first book, what challenges did you have to overcome? The process was full of experimentation. As Imperfect was my first novel, I had no idea how to approach this kind of project. I re-wrote the entire manuscript about six times, constantly brainstorming and time-lining as I went. Also, I never received any sort of official creative writing training, so I taught myself to write by reading all sorts of novels paying special attention to how those authors structured their plot arcs and developed their characters. It wasn’t easy but I’m just doing what I love. If you really apply yourself and you don’t give up when it gets hard, you can do anything, regardless of your age. I think too many people think they have to wait until after college to start their lives. You don’t. If you want to do something, do it. Don’t wait. How would you fare in the dark world you created in Imperfect? Oh man, not well. I mean, I guess if I really had to I might be able to figure something out. But sitting on my couch writing about it is much more my style. What’s the take-away from your book? What should resonate or linger with the reader? Never give up. Don’t let people tell you that you can’t do it. It may be hard, it may not always work out but keep at it and never, ever give up. I can recite and sing the entire Lion King movie from memory. Who is your favorite author(s) and why? As far as YA authors go, I love Gayle Forman, Lauren Oliver, John Green, and Suzanne Collins. I’ve always loved their books as I love the pacing and also the intricacies and likability of their characters. I also love J.K. Rowling (for obvious reasons! ), Harper Lee, and Victor Hugo. I recently read Meg Wolitzer’s Belzhar and really enjoyed that. I don’t know, I love them all! How can we get Imperfect? 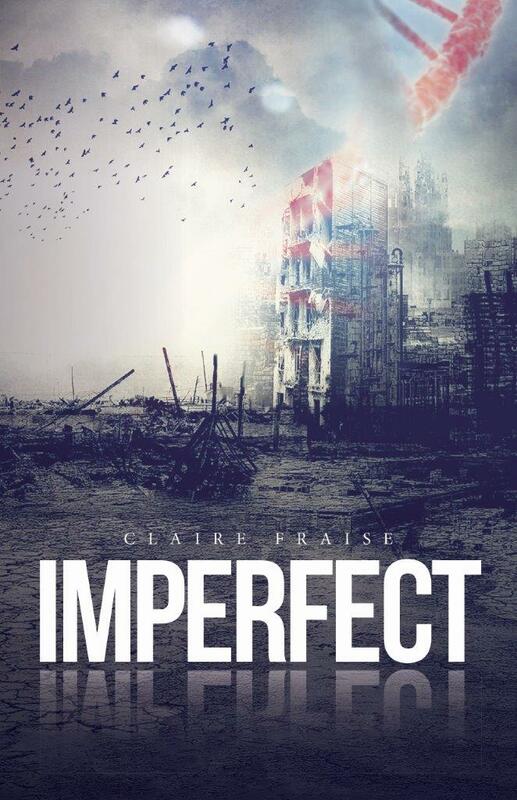 Imperfect is available on Amazon in print form and on Kindle!